CLEVELAND — Cleveland Browns wide receivers Jarvis Landry and Odell Beckham Jr. have quite the history. Both Landry and Beckham played college football at Louisiana State University. Nike embraced their friendship in a new commercial. 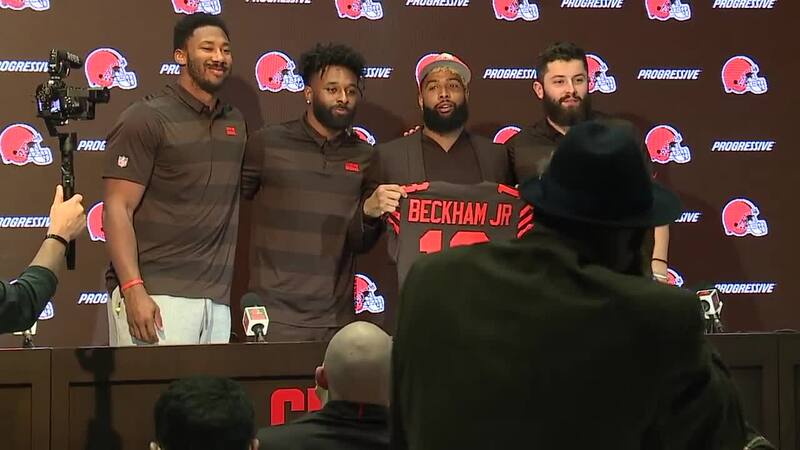 Beckham was officially introduced as a Cleveland Brown on Monday. During a press conference, Landry couldn't stop smiling about the fact that Beckham was his new teammate. "He’s a great person, first of all. The player part of it takes care of itself," Landry said. "The leadership and competitive nature is different. He’s going to push myself, a lot of guys and Baker. Baker will have to throw it a little further since he’s one of the fastest guys in the room. We’re going to do something special." Said Beckham,"This is my guy. This is everything I have ever dreamed of and more. This is the biggest blessing of my entire life. We used to call each other every single day. I felt like I couldn’t be there for him all the time, but now I feel like I can."